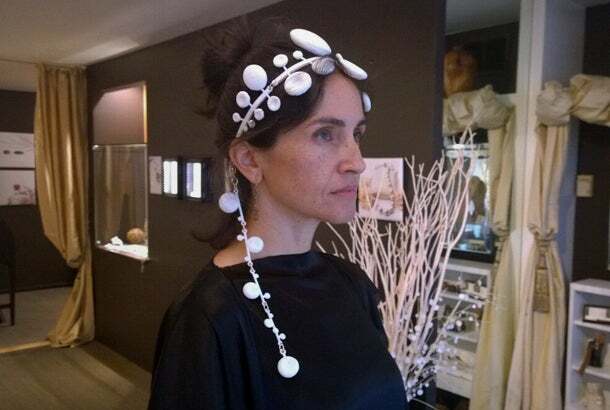 Couture jewelry designer Dilek Sezen is used to the slow, careful work of producing delicate, gem-encrusted jewelry. It can take her anywhere from four to six months to work out a single design with a client, the price of which can often push north of $15,000. 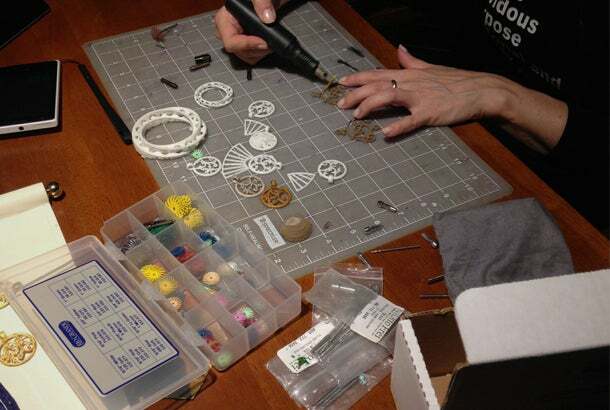 In that kind of couture work, it is common that one would work with a dozen artisans and suppliers to complete a single ring, necklace or pair of earrings. That’s why using a 3-D printer feels like a party for Sezen. “The first one, the first 3-D printed machine, I just lost my mind. I can make everything! I haven’t had that much fun creating something since arts school,” she said. 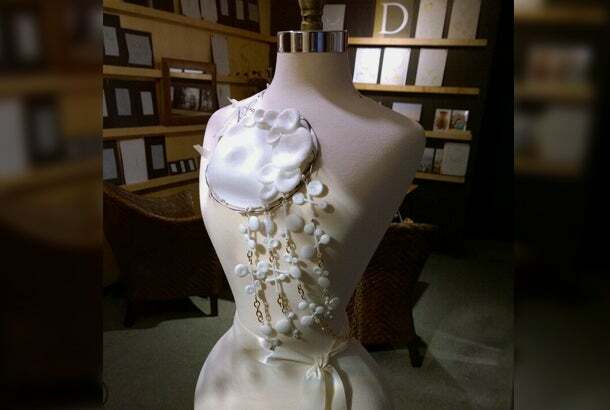 Sezen was one of a dozen brands included in the 3-D Print Design Show, a runway show held at New York’s 3-D Print Week in April that featured 3-D printed clothing and accessories. Sezen is based in San Francisco now, but has previously worked in Istanbul, London and New York. 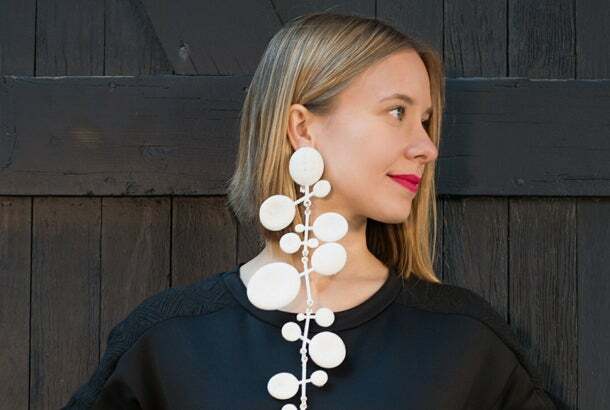 The jewelry she makes with her 3-D printer start at $275 and are available for sale, for now, exclusively, on her website. Sezen feels it is her mission to inspire other entrepreneurs and artists to venture into the “wild and open” world of 3-D printing. “As a designer, a pioneer, our job is to make them understand the possibilities for the future,” she says.